A name you’ve most likely never heard, but designs you’ve most definitely seen, Brian Lichtenberg has silently been making a bold impression on the fashion industry and winning celebrity hearts whilst he’s been at it. A name you’ve most likely never heard, but designs you’ve most definitely seen, Brian Lichtenberg has silently been making a bold impression on the fashion industry and winning celebrity hearts whilst he’s been at it. 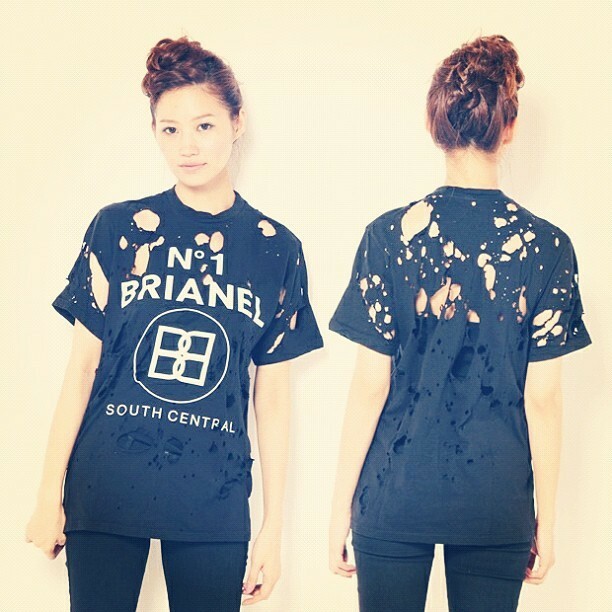 The LA brand is known for bending the rules of fashion and making a statement, evidence of which can be seen prominently in Lichtenberg’s “Bucci” and “Brianel” t-shirts, which have become an urban success. But it’s Lichtenberg’s dresses that have made him a riotous success. His “Glitter Hooded Dress” was seen on Kim Kardashian, Ciara and Jennifer Lopez to name but a few, and his “Scuba Zipper Dress” in coral was spotted on Ashley Tisdale and Britney Spears – providing endless material for “who wore it best” pages. The celebrities aren’t to blame, seduced by Lichtenberg’s scintillating woven sparkles, strategically sewn mesh (to excite, yet keep a veil over one’s dignity), and severe cuts of the dresses, which means no matter who you are, once you wear a Lichtenberg, you look like someone who should be known…and isn’t that what it’s all about?